Disclaimer: We do not guarantee specific results and individual results can vary. Superior Physical Health, a Chattanooga Weight Loss center, offers a simple yet Advanced Weight Loss System that promotes a safe, natural approach to losing weight that is based on eating “REAL FOODS”. Unlike most programs that focus on suppressing the appetite and limiting food intake, Superior Physical Health’s weight loss team will coach you on what foods to eat that will optimize nutrition intake and promote fat-burning while restricting those foods that quickly turn to fat. Your Weight Loss Will Be Substantial, Seeing Results Every Day Will Keep You Motivated! 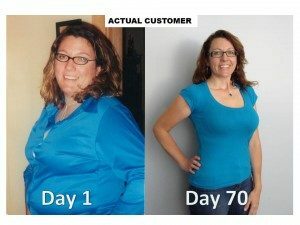 The rate of weight loss experienced on the WLC protocol is safe and motivating. Our Chattanooga weight loss clients lose an average of three to five+ pounds per week. The amount you lose can be influenced by individual variables such as age, gender, starting weight and how strictly you follow the program. A step by step process to insure great results as well as a exit strategy to get you to your goal and KEEP YOU THERE. Our program builds a lifestyle around good, healthy eating habits. 80% of your battle comes from proper nutrition. We give you the tools you need.